This desk clock is perfect for the desk of any patent inventor. With metal accents and a solid high gloss piano wood frame, it will not disappoint in excellence. 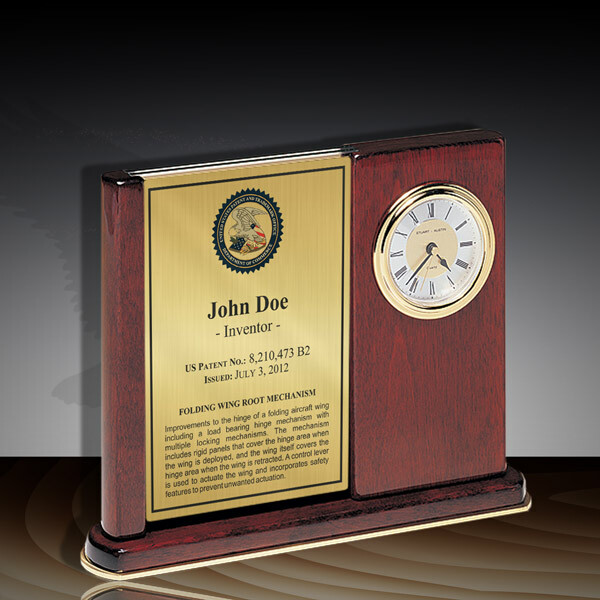 A patent clock desk award commemorates your inventor's patent achievement while also providing them with a stunning clock for their office. The main plate prints in full color allowing for a customized with your logo or colors. Just let us know in the special requests section of your order form below. 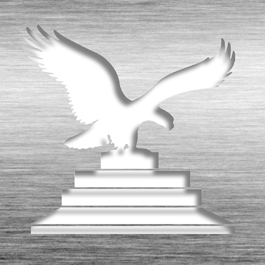 Available in Rosewood/Gold, Black/Silver, and White/Silver. This Patent Award - Clock Desk Glass Rosewood TBC-19 is part of our Patent Desktop Award Series of products, check out other products & options available in the Patent Desktop Award Series of our selection. This Patent Award - Clock Desk Glass Rosewood TBC-19 can be modified to your requirements and is available for your corporate award programs.